Anthropologists have written of people as Muslim because they grow up enculturated as believers, but also because they make themselves Muslim through their actions. But how can we also include their beliefs that God reaches out to them as an active agent? asks a recent article by Amira Mittermaier. One of the most important shifts in the anthropology of Islam was the recognition of the role that “self-cultivation” played in religious practice. After ages of Islam being described as a fatalistic religion, or one in which shari’a governed every possible form of action, anthropologists began to pay attention to the ways in which pious people created themselves as pious through strategic actions. Rather than being regulated by rules they learned growing up, ethnographers began to attend to the ways people disciplined their bodies, actions and–so they say–minds in an effort to become ever more in line with the will of God. It was an important shift because Islam was often treated as if it were an irrational obstacle to individual free will, the autonomous self, and the innate desire for freedom that characterize most Western notions of personhood, and which are assumed by many Europeans and Americans to be human universals. Anyway, the work of Talal Asad, Saba Mahmood, and Charles Hirschkind led us to a very different language for writing about people’s practices as Muslims. I first encountered this approach in the work of Saba Mahmood, and it was a revelation. In Mahmood ‘s work, people are not simply believers because they have been religiously enculturated to be believers. Rather are they continually–and quite consciously and strategically–creating their inner states of piety by disciplining their bodies so as to develop habits of acting piously. This approach fit perfectly with a set of a dozen or so interviews I had with well-to-do, Westernized young people who were turning away from secularism toward God, and more-or-less inventing the way as they went, cobbling their practices together from the teachings of various sheikhs, teachers, television personalities and things they read or heard on religious cassettes. Four of these play a prominent role in Chapter Four of Connected in Cairo. There are anthropologists of Islam who worry that while this focus on self-cultivation is important and useful in some contexts, it has become an intellectual fad picked up by many scholars of Islam whether it applied to their particular ethnographic case studies or not. In other words, there is the risk that in taking for granted that Muslims are engaged in self-cultivation they may ignore other important things that are going on. So Samuli Schielke argued recently that an overfocus on religious self-making can limit attention to non-religious sensibilities, and mask the extent that these activities take place in a wider context of possibilities and activities designed to make a good life. “Rather than a competition between pious and secular sensory regimes, an unpredictable coexistence of different nuances, moments, and registers characterizes daily life in Egypt’ (2010: 11). I don’t think this characterizes my use of the concepts. All my informants are engaged in self-making throughout the book, through a wide variety of practices, some of which–especially in the Pokemon chapter–some of which are clearly religious and some avowedly secular, and many are characterized as religious (or antireligious!) by some and not others. But a recent article by Amira Mittermaier (2012) in the Journal of the Royal Anthropological Institute suggests that the lens of self-cultivation can obscure religious sensibilities that are not about self-making. She offers as an example direct intervention in people’s lives of the divine, as in prophetic dreams. In the Sufi community in which she worked, people have dreams sent by God. The paradigm of self-cultivation helps anthropologists theorize the one direction – that extending out from the dreamer – but it has little to say about the other direction, the being acted upon. Although Shaykh Qusi’s followers and many other Egyptians use a range of practices that strengthen their ability to see beyond the visible, they insist that there is a crucial difference between inviting and producing dreams. According to many of my interlocutors, the believer might ask God for a dream-vision, but the act of calling upon God does not contradict the fact that the believer is simultaneously acted upon by the dream-vision. According to this view, the believer is always both subject and object of the experience; constituting the dream and constituted by it. In the words of one Egyptian dream-interpreter: a dream-vision is the believer speaking to God and God speaking to the believer. I don’t know that I missed anything so much as I deliberately left some stuff out. What Mittermaier’s critique makes me think about is jinn. Jinn are invisible beings who inhabit this world with us and, like us, have free will to turn toward God or to turn away from him. One thing I learned was that pretty much everyone, no matter how secular, Westernized and cosmopolitan, has a story about an encounter with jinn. It either happened to them or one of their relatives. Jinn stories are interesting because they threaten cosmopolitan people’s secular personhood by intruding into their comfort zones, reminding them that there is an invisible world around them that they ignore at their peril. Unlike whether or not one veils, or how and when one prays, or whether one reads the Qur’an daily, or any of the other practices we describe in terms of self-cultivation, one has little or no control over jinn. I actually do want to write about jinn in the future. I touch on them briefly in Chapter Two, and I wrote a short chapter for a book on folklore and movies (Peterson 2007) but I’d love to write a book about the globalization of jinn. ——— 2003. Formations of the secular: Christianity, Islam, modernity. Stanford: University Press. Hamdy, Sherine. 2009. Islam, fatalism, and medical intervention: lessons from Egypt on the cultivation of forebearance (sabr) and reliance on God (tawakkul). Anthropological Quarterly 82, 173-96. Mahmood, Sabah. 2004. Politics of piety: the Islamic revival and the feminist subject. Princeton: University Press. Mittermaier, Amira. 2012. 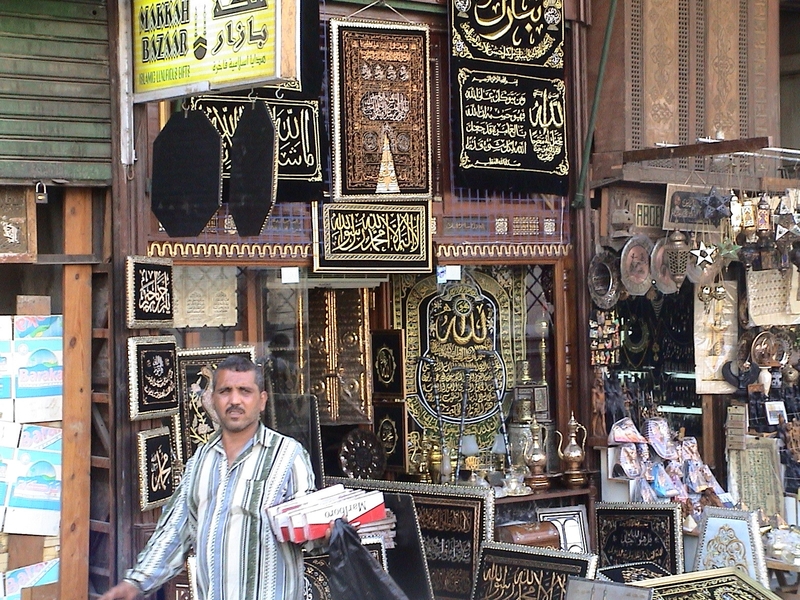 Dreams from Elsewhere: Muslim subjectivities beyond the trope of self-cultivation. Journal of the Royal Anthropological Institute. 18(2): 247–265. Peterson, Mark Allen. 2007. “From Jinn to Genies: Intertextuality, Media, and the Rise of Global Folklore.” In Folklore/Cinema: Popular Film as Vernacular Culture. Mikel J. Koven and Sharon Sherman, ed. Pp. 93-112. Utah State University Press. Schielke, Semuli. 2010. Second thoughts about the anthropology of Islam, or how to make sense of grand schemes in everyday life. ZMO Working Papers 2. For me, what’s missing from this debate is power. The old Orientalist approach treated Islam as an impersonal force, while the new anthropological approach treats it as a kind of self-help method. What about the social interests and symbolic power of preachers, Sufi shaykhs, and ulama, and their competition with one another to gain this power? For me, what’s missing in this debate is power. The old Orientalist approach portrayed Islam as an impersonal force; the new anthropological approach portrays it as a self-help method. What about the social interests and symbolic power of preachers, Sufi shaykhs, and ulama, and the competition between them to gain this power?